Are you moving into a new house, or updating your current one? Do you need those odd jobs finished fast? Rc remodelers can help. We recognize that our customers have hectic schedules, and we are here to relieve some of your stress. 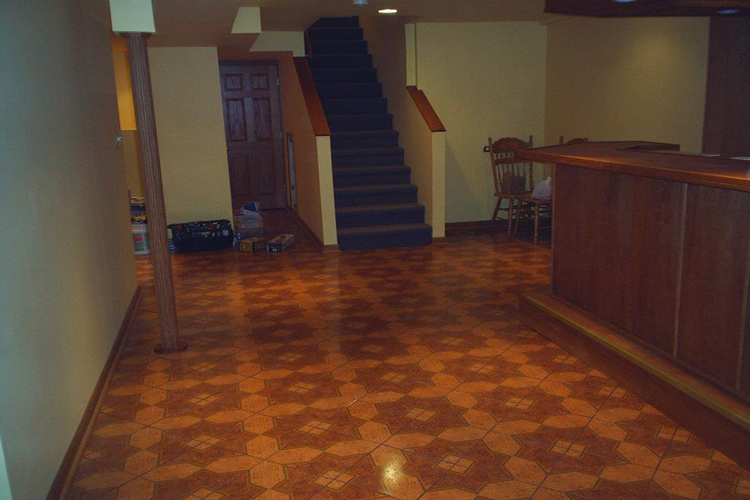 Not only do we re-model basements, but we can update your kitchen, bathroom and any other room that needs a face lift. Located in Bolingbrook, Illinois we service all surrounding communities; Lisle, Naperville, Downers Grove, Woodridge, Burr Ridge and all other communities. If you are looking for a Remodeler that you can trust with almost two decades of experience, contact Bob “Rc remodelers”@ (630)936-2296. We do it all!! 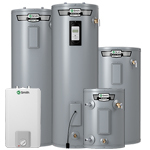 Natural gas water heaters offer a terrific combination of affordability low energy costs. Natural gas heaters offer faster recovery times than electric. That means you'll be less likely to run out of hot water when two people are using it at the same time. Enjoy a long, luxurious shower without fear of the water going cold. 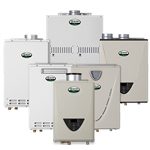 Kenmore natural gas water heaters for residential use are available in capacities to meet your demand for hot water. Households of more than three people should consider a 50-gal. model or larger to meet the greater demand. When you shop Sears for natural gas water heaters, you'll see warranties from three to 12 years. Models with longer warranties feature glass-lined tanks that resist corrosion. The price is higher, but the longevity is greater. The longer you plan to stay in your current home, the more it makes sense to invest in a natural gas water heater with a glass-lined tank. Standard electric water heaters are a good choice if you don't have a gas line or exhaust vent. They are affordable, but they don't use energy efficiently. Monthly utility bills can be higher than for gas heaters. You'll notice the same warranty options with electric water heaters. If you buy a quality electric water heater and keep it maintained, it should last 12-15 years. 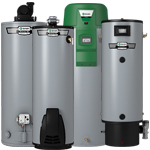 If need hot water in a home addition, finished basement or small apartment, consider a tank less electric water heater. They save energy costs because you only heat water you use. If sized correctly, they will deliver continuous hot water for as long as you need it. If you're looking for green-energy options, consider a hybrid water heater. Electric hybrid models employ heat pump technology. Like an HVAC heat pump, they circulate refrigerant to collect heat from the air. The heat is then used to warm the water in the tank. An electric hybrid water heater costs more than a standard electric model, but it uses about half the energy. Lower monthly electric bills will begin to pay you back immediately. Do you live in regulation-heavy California? You'll be happy to know that California water heaters from Sears cost just a bit more than standard models. They meet low-NO emission standards and will give you years of dependable water heating. Most use natural gas, but if it's not available where you live, choose a high-efficiency liquid propane model. Sears delivers hot water! You'll find the type you want in the size that's right for your home. Browse our great selection of water heaters at very competitive prices to find the perfect fit for your hot water demands.